Raybuck Auto Body Parts supplies customers with the spray-on insulation products and accessories they need to keep their vehicles cool and quiet on the inside. 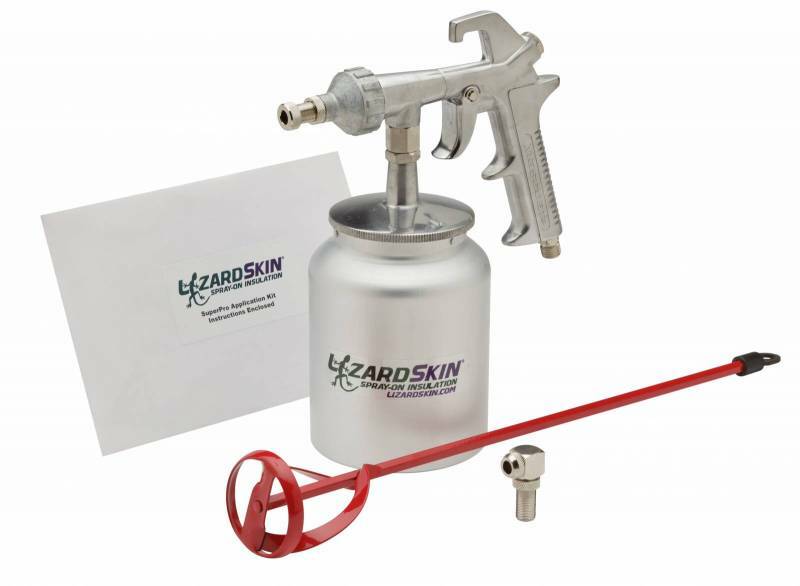 LizardSkin Ceramic Insulation and Sound Control are self-contained, one-part, water-based acrylic coatings that are easy to apply, especially with the LizardSkin SuperPro Gun Kit. And since they are water-based, they are even easier to clean up after. Either product can also be used as a floor covering in your truck or jeep in place of carpeting or a vinyl mat. Have a pro-street car that’s burning up your feet? Or maybe the sun is heating up your custom while you’re cruising. Either way, you’ll want to try the LizardSkin Ceramic Insulation to help keep that heat out. 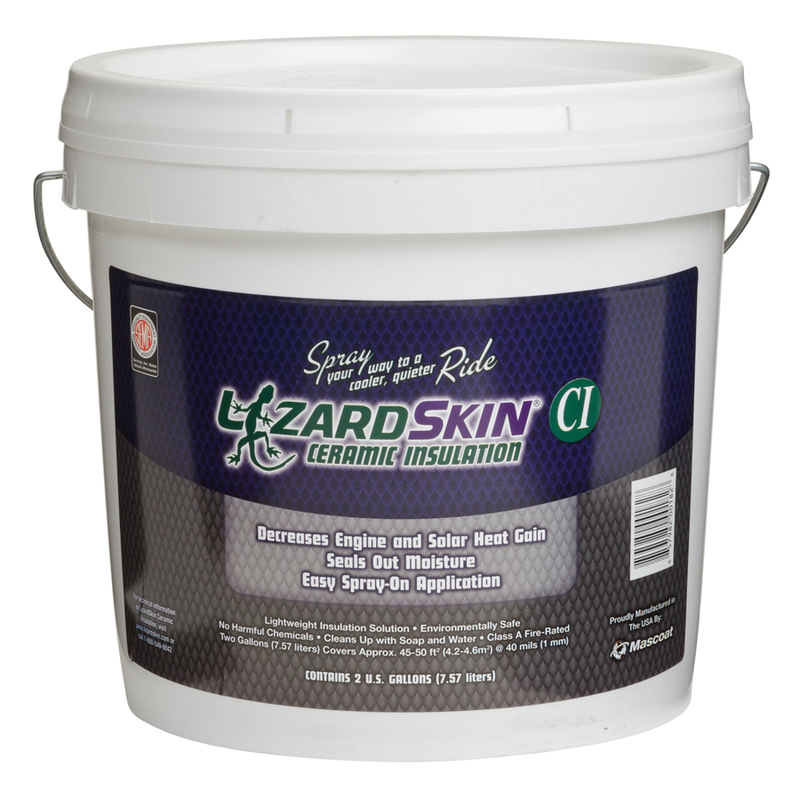 LizardSkin Ceramic Insulation is a one-part, water-based acrylic coating that can easily be sprayed onto the floor, firewall, or roof of your ride. 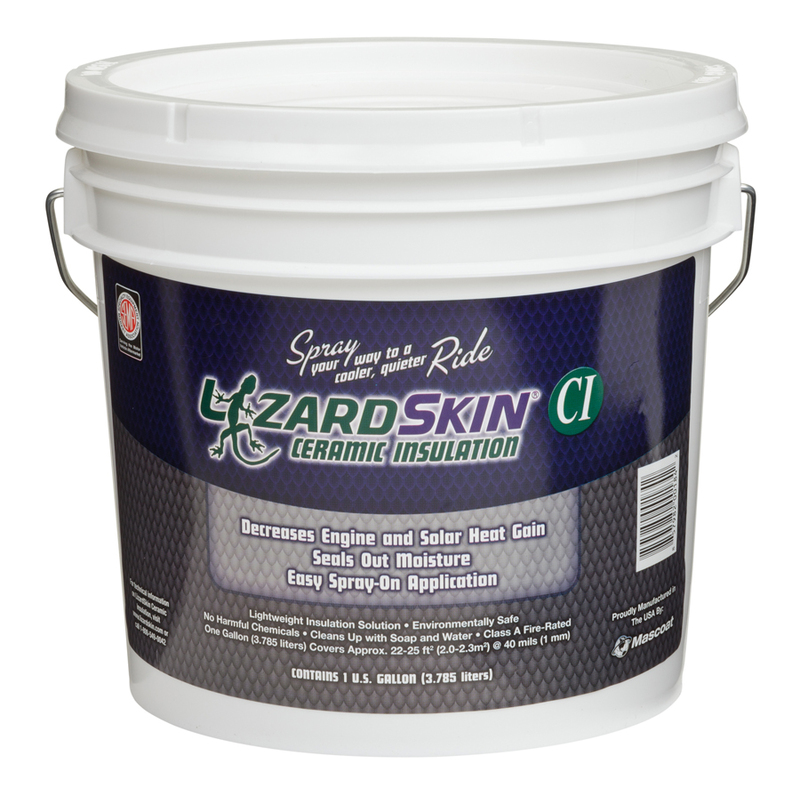 Unlike heat shield mats, LizardSkin CI provides an even, seamless coverage to whatever you are applying it to. Sick of riding in what sounds like a tin can? Use the LizardSkin Sound Control to block out exhaust and road noise for a quieter ride. 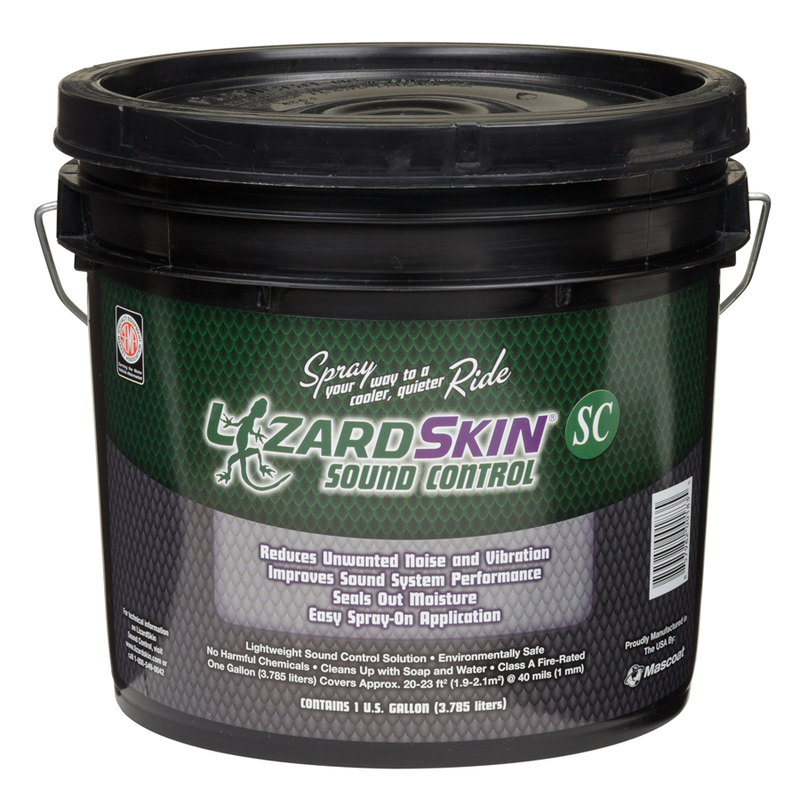 LizardSkin Sound Control is a one-part, water-based acrylic coating that can easily be sprayed onto the interior or exterior of your ride. 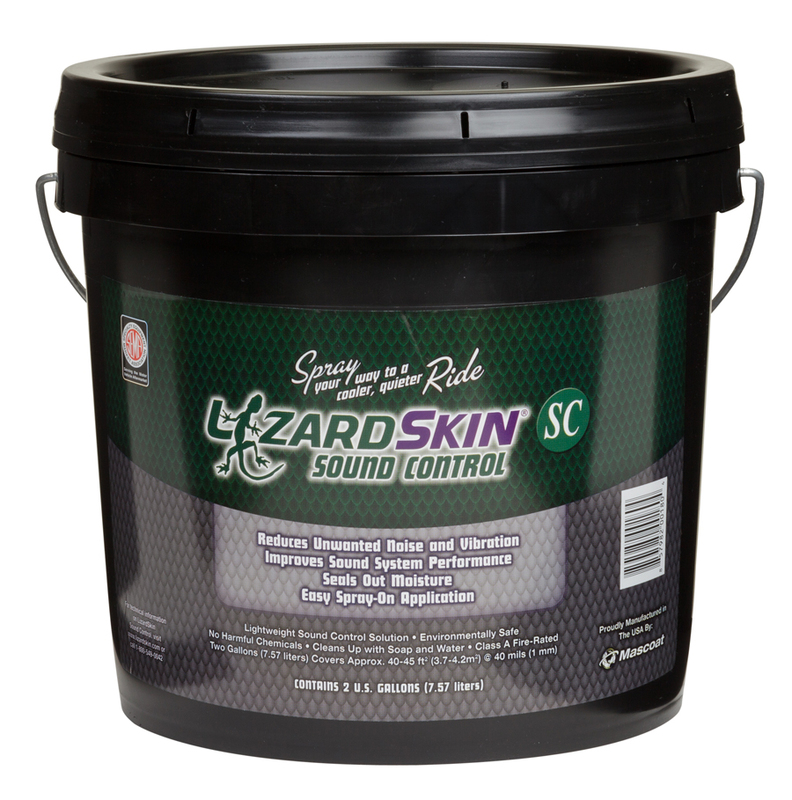 Unlike sound control mats, LizardSkin SC provides an even, seamless coverage to whatever you are applying it to.